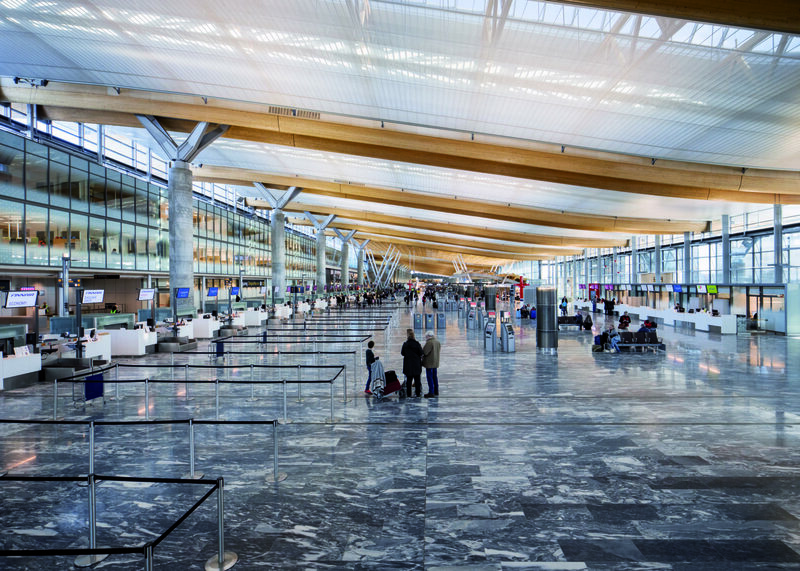 Our work in airport design started with the decision to close down Fornebu in favour of Gardermoen in the early 1990s. 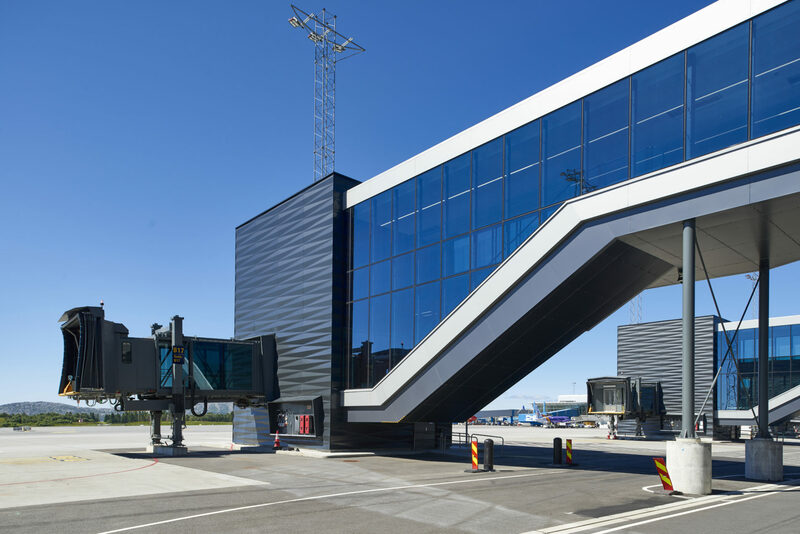 Through the main airport development project and T2 project at Gardermoen, and the new terminal T3 at Flesland, the company has built up a considerable level of expertise in the airport segment. By working on major, complex projects, we have built up a large team of highly qualified engineers who can assist with the entire construction process, from concept to execution at the construction site, and on to the final phase and Maintenance Operations Management (MOM). We design structures of all types, with load-bearing systems of steel, timber and concrete. Through the years, we have built up a wide range of expertise in analyses, dynamic assessments and calculations for special structures which involve the use of a range of analysis software. The nature of contracts in the construction industry tends to change from time to time, with the industry currently in a phase in which construction clients tend to favour Engineering, Procurement and Construction (EPC) contracts and partnership contracts. Aas-Jakobsen has experience with virtually every type of contract. The wide range of experience we have gained in recent years in complex buildings such as hospitals and facilities for Sporveien (operating trams in Oslo) is easily transferable to airport projects. In both types of projects, global thinking and the ability to involve users and work closely with our clients are key factors. Our dedicated engineers work on interdisciplinary problems daily, and we have developed excellent procedures for collaborating in interdisciplinary teams and developing good interdisciplinary solutions. Acting as an industry leader in the development of BIM has given us the opportunity to play a key role in the construction of the BIM systems for several prestigious landmark buildings in Norway. Geographically, we cover the entire country, with the bulk of our projects tending to be within Eastern Norway. Aas-Jakobsen aims to deliver high-standard buildings for which we guarantee taking into account buildability, the environment, cost efficiency and quality.